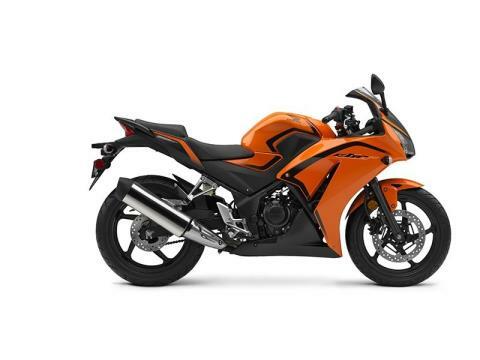 Honda’s CBR®300R delivers a giant dose of performance and fun way out of proportion to its engine size. Even experienced riders can’t seem to wipe the smile off their face after a ride on this modestly-sized machine. And one ride will tell you why. It’s the sporting member of our 300 lineup, with a little more bodywork. The single-cylinder engine is light and narrow, making it easier to sit on the bike and get your feet on the ground at stops. 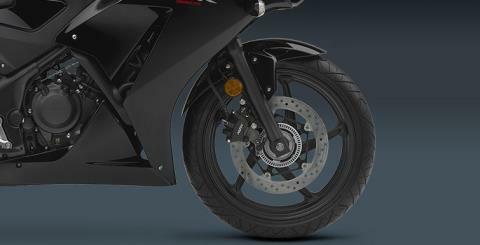 And the single-cylinder powerband with its wide torque spread is perfect for both in-town or freeway rides. The light weight makes it responsive on twisty roads. But maybe best of all, the CBR300R offers excellent fuel efficiency, too. 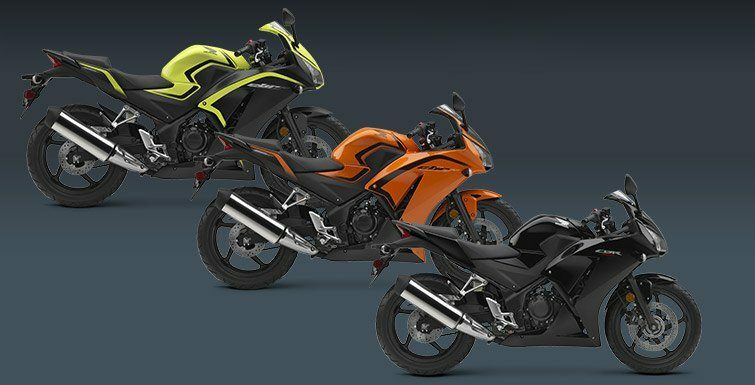 This year the CBR300R is available in two hot new color schemes: Bright Yellow and Matte Black, as well as Candy Orange and Matte Black. And the price is still lower than what you’d pay for a lot of used bikes. NARROW SEAT AND LOW SEAT HEIGHT: A low 30.7-inch seat height does more than help make sure the CBR300R fits a wide range of riders. It makes it easier to put your feet down at stoplights and in parking lots—a big confidence builder. 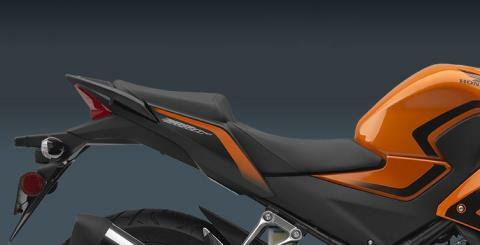 Plus, we offer a Honda Genuine Accessory seat that lowers seat height even further! 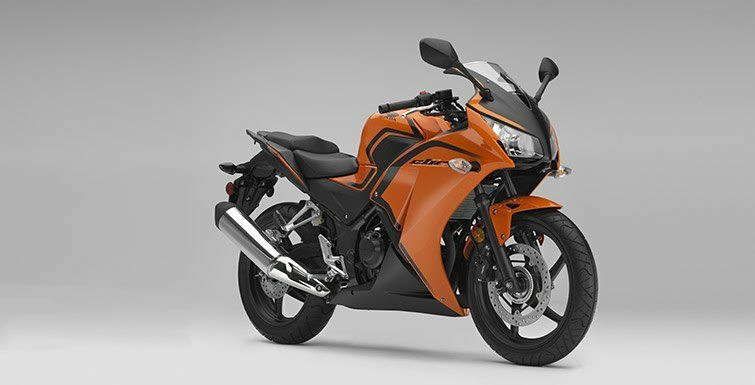 COUTNERBALANCE SHAFT: Because it features a counterbalancer, the CBR300R engine is a smooth runner. You get the narrow overall width and power advantages of a single along with the smoothness of a multi-cylinder bike.